Articles With Keyword "Chamber Committee"
This past year has been a very active one for the Chamber Ambassadors committee. This group of volunteers serves as the high profile representatives of the Chamber, as they focus on promoting new businesses, conventions, tourism and recreation in the Sheridan area, as well as encouraging progressive growth in established businesses. The Chamber's Agriculture/Natural Resources/Public Lands Committee and the Sheridan County Cattlewomen invite you to the 9th annual Buyers' Reception preceding the 4-H/FFA Livestock Sale at the Sheridan County Fair. The Candidate Forum, presented by the Chamber's Governmental Affairs Committee, is an opportunity to hear from the local candidates running in this year's primary election (Tuesday, August 21). The Chamber's Agriculture/Natural Resources/Public Lands Committee and the Sheridan County Cattlewomen invite you to the 8th annual Buyers' Reception preceding the 4-H/FFA Livestock Sale at the Sheridan County Fair. 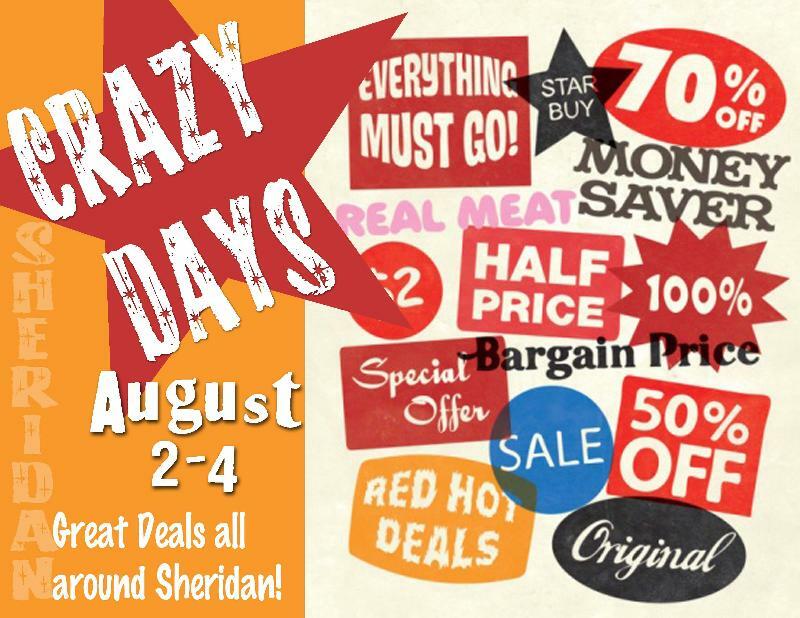 CRAZY DAYS - This Thursday-Friday-Saturday, August 2-4. Crazy sidewalk sales and in-store sales! The Sheridan County Chamber Ambassadors is looking for a few good (wo)men! The Sheridan County Chamber of Commerce has seven very active committees that are vital to our organization.